This is a fun read with an added bonus of the protagonist's perspective being that of a young WOC! This novel focuses on Patti, written with flaws and a good sense of humor, as she recounts the stress-filled college application experience during her senior year of high school. This is an absolutely American story which happens to be from the lens of a first-generation American with Korean immigrant parents. She juggles the near-impossible expectations of her parents, her Korean-American community, and societal ladder of her small New England town, while sharing Korean comfort food recipes and top ten lists of amusing ways she deals with making sense of her world. What I liked most about this novel is that I easily related to the Patti's experience as I remembered my own days of university interview and application experiences. While I recognized that her home life view is an experience common to many, I can also see how it would reinforce this first-generation American, particularly Asian-American trope: Having the parents so singularly focused on instilling superior educational and extracurricular achievements in their kids to get them competitively for a top American university, that they come off as one-dimensional and interchangeable-- I'm talking about parents so utterly ashamed that their student got a B+ on a test (not a final exam) they are very worried it will reflect poorly on their entire family when others find out. 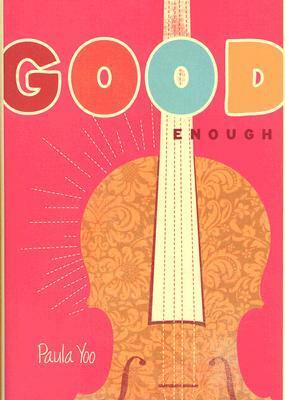 Sign into Goodreads to see if any of your friends have read Good Enough.